Best known for Out of Africa and Babette’s Feast, Karen Blixen—often writing under the name Isak Dinesen—was an iconic figure in Scandinavia and the Anglo-American world, celebrated as a literary star and a pundit in newspapers, radio, and lecture halls. Many of her topical pieces would later be published as essays, and in this book Marianne Stecher offers the first critical examination of them, exploring Blixen’s sagacious reflections on some of the twentieth century’s greatest challenges. 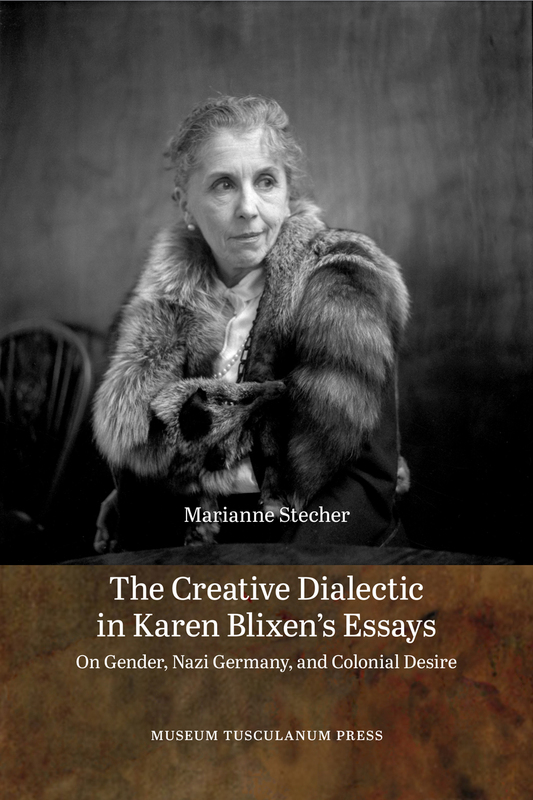 Stecher uncovers a “creative dialectic” in Blixen’s work, an interplay of complementary opposites that Blixen saw as fundamental to human life and artistic creativity. Whether exploring questions of gender and the status of the feminist movement in the middle of the twentieth century, the reign of National Socialism in Hitler’s Germany, or colonial race relations under British rule in East Africa, Blixen drew on a dialectical method to offer insightful, witty, and surprisingly progressive observations. Including the first English translation of Blixen’s essay “Blacks and Whites in Africa,” this book is an essential companion to the works of this original thinker and writer. Lasse Horne Kjældgaard, Danish Society of Language and Literature.